One of the most-frequently discussed topics that we’ve heard over the last 6-8 years is how much better current poker pros are compared to those in the 1990s and before. Few would argue that the average pro today is better than old school grinders simply because poker strategy is so widely available. 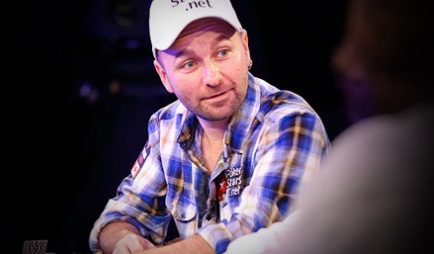 But Daniel Negreanu, who’s one of the few pros who’ve grinded in both eras, has a much-different perspective on the subject. “Doyle pointed out on Twitter that people who were drawn to being professional poker players in the old days did so because of the absence of any really good options in their lives. Most were not educated. Most were not qualified to get good mainstream jobs. Professional poker players back in those days were hustlers finding a way to make it in the world. For people like the guys I mentioned, they are educated and have all kinds of opportunities to get good jobs in the real world. “The existence of online poker is what made this lifestyle accessible to young, brilliant, educated young people who saw an opportunity to make an ‘easy living’ from the comfort of their own home. I don’t think any of the three guys I mentioned would have been professional poker players in the 90’s! Again, not because they weren’t capable, but mostly because it would have been a bad decision. Professional poker players were misfits in that era. Hustlers, that were smart enough to find a way to survive in life despite limited options in terms of valid career choices. – Players saw a lower volume of hands because online poker didn’t exist. – Players’ learning curve occurred on the table; not through watching low-priced training videos and reading articles. – The game selection wasn’t great in the 90s and beforehand. – Atlantic City, California and Las Vegas were the only viable options for being a poker pro. – There were very few study tools back in this era. Again, Negreanu isn’t saying that old-school pros were more skilled. But respect should be given for the conditions they persevered through to become successful players.